On a couple of days we saw “sun dogs” in the sky. 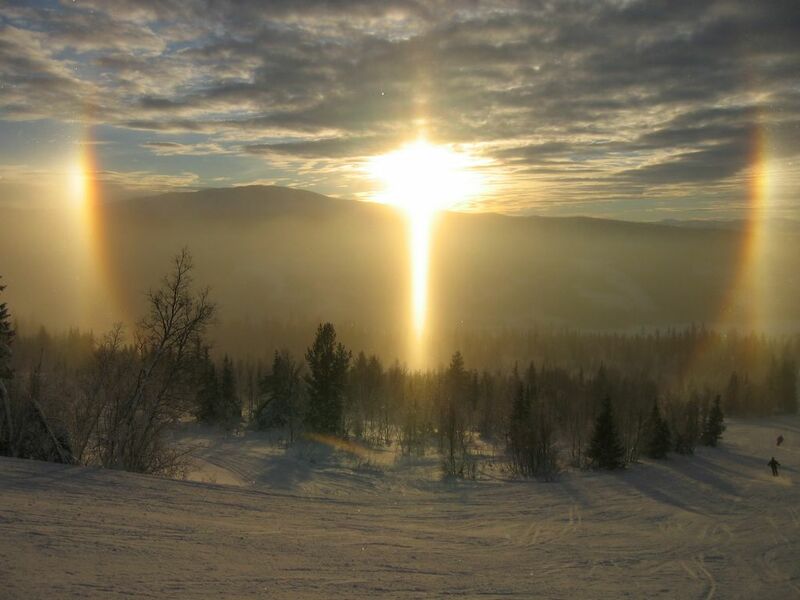 Sun dogs, also known by their scientific name parahelia, appear when sunlight reflects off ice crystals in the air. In the second photo, a halo and prominent sun pillar are also visible. 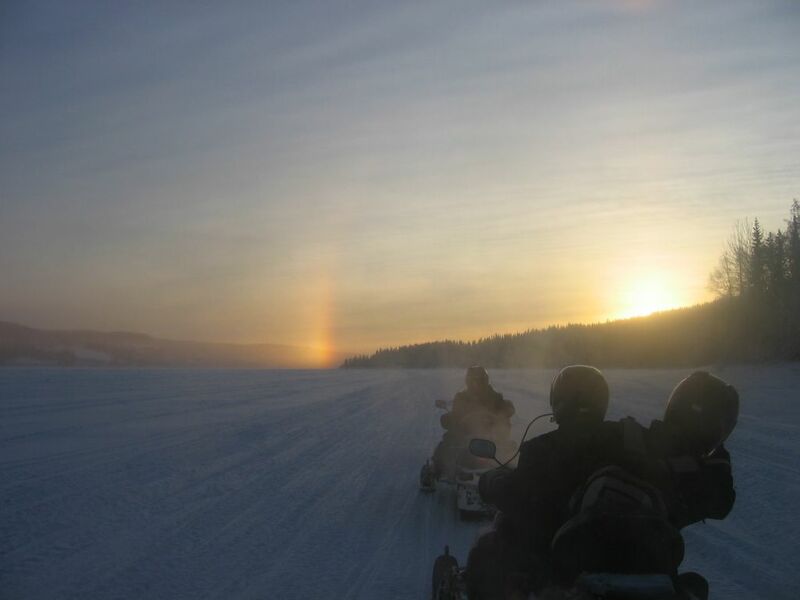 We took a two hour snowmobile trip on Thursday morning. 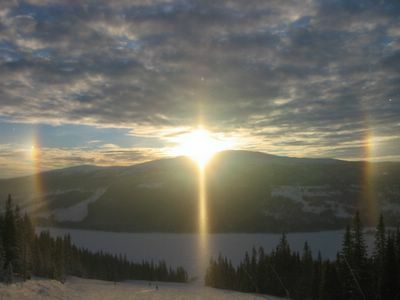 We started out by driving down the length of the frozen lake next to Åre. We drove toward the rising sun and saw this sun dog hovering above the end of the lake.